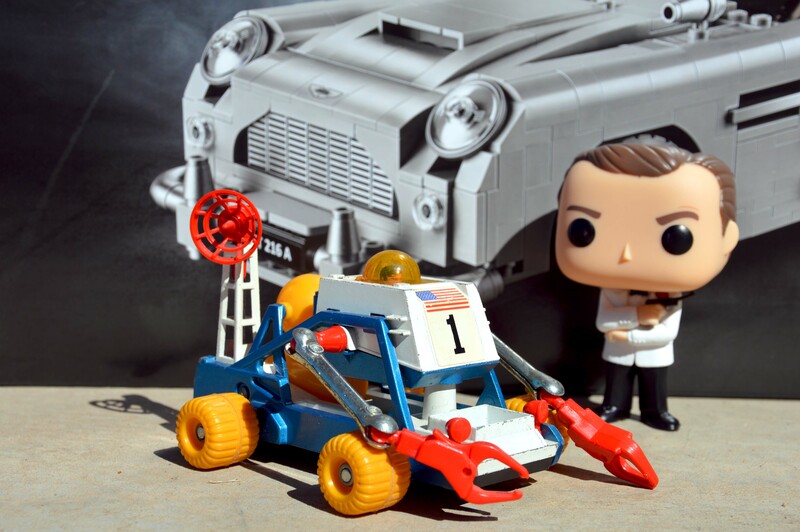 Australian collector Brendan Edwards talks about his experiences of collecting 007 memorabilia. It was in 1989. 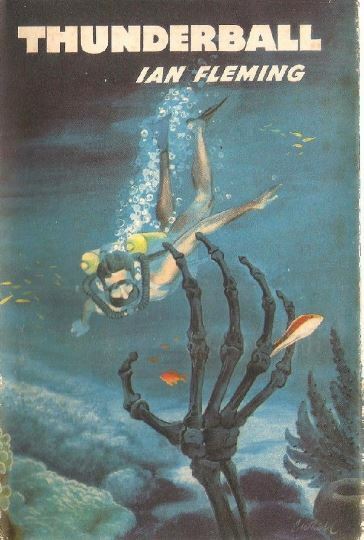 I was 17 years old and discovered a copy of Thunderball in my garage. It only took me two days to read and I fell in love straight away. Quickly reading all of the Ian Fleming novels. My first movie was From Russia With Love which I recorded on the ole VHS, and pretty much wore out the tape as I watched it over and over again. Easily one of my favourite Bond films. In-between I started collecting memorabilia and haven’t stopped. 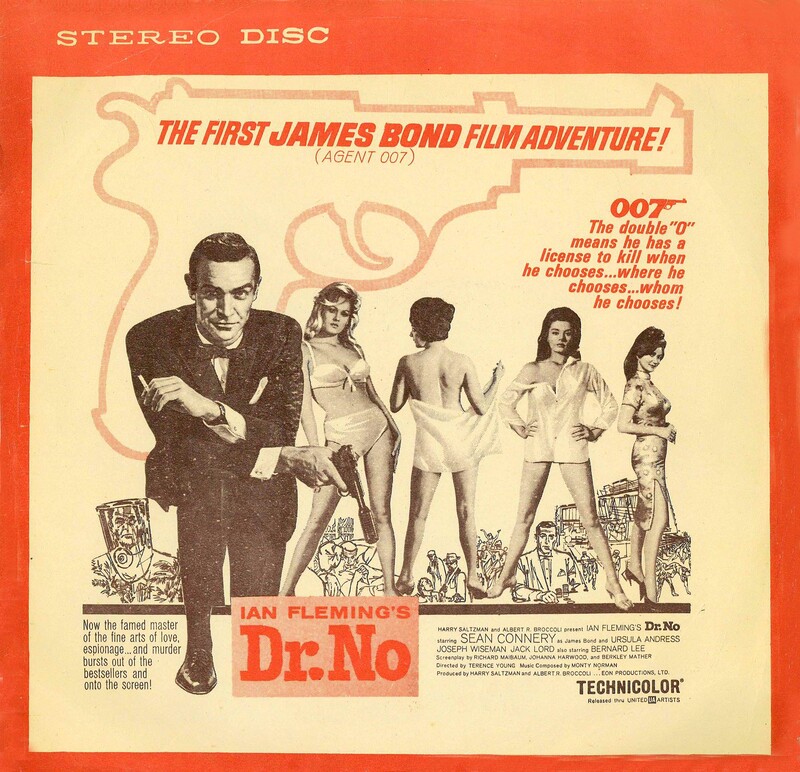 My favourite item is a Asian printing of the Dr No Soundtrack which has a blue labelled record. Not because it’s worth a lot, but because it’s really rare. It’s a nice thought to have an item which is over 50 years old, which maybe one of the few copies left in the world. The item that I most wanted was the From Russia With Love briefcase which was released in 1965. I bought it on Ebay quite a few years back, and spent a small fortune on it. Then snuck it into the house and hid it from my wife. Scared of knowing what she would have said if she knew what I paid for it. Unfortunately it’s remained hidden on that shelf for many, many years which has been a kinda waste. Though I am very happy that it’s there. 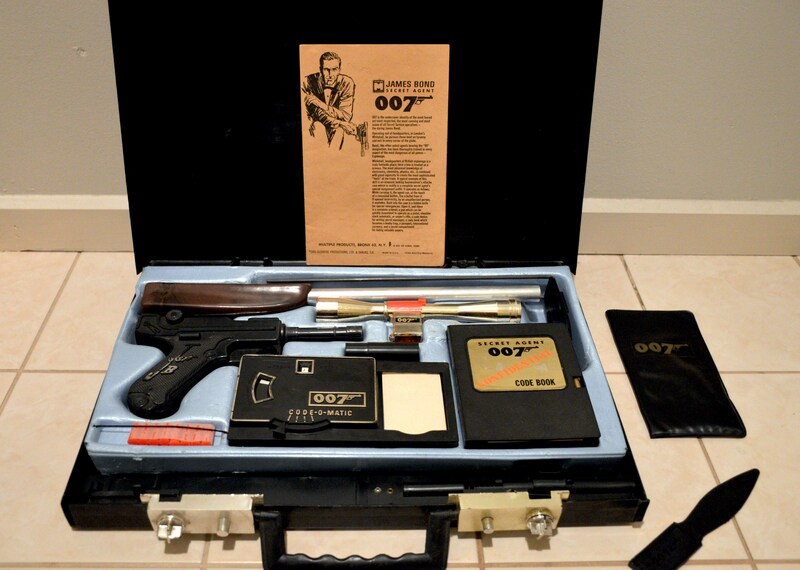 I’ve been collecting James Bond memorabilia since 1994, and was lucky as my parents loved going to fairs, markets, thrift shops and the like, and I was able to buy some great memorabilia for virtually nothing. Today I find buying things a bit boring. All it takes is a click a button, and then it shows up on your front door-step, which has taken away the thrill to the hunt. It’s not what I would like to add to my collection, but how I would like to add it. I really want to go out to a market and find something really special again in the bottom of a junk bin. It’s an understatement to say that I miss the challenge of the hunt, and to find a real bargain. I stopped buying modern collectables and focused on all of the vintage stuff during the Brosnan years. The James Bond franchise went ridiculously commercial and lent their name to some very bodgy merchandise. I found myself in a quandary as it became impossible to collect everything as there was simply too much out there, and much of it crap. Long story short. My biggest obstacle is having the space to properly display everything you want to collect. It’s horrible to have some fantastic items which spend their lives in boxes. Just because an item has 007 on it doesn’t mean that it’s going to be valuable, or something that you will take pride in and invest time and money into. At the end of the day, no matter what your budget is, you will run out of space to display your collectibles. So give thought to what you’d really like to own. Quality over quantity, and with this in mind you can focus on the items that you really want, and not wind up with things you don’t. I have recently started up an Instagram account called James Bond collectables, and over time will be displaying images from my collection. Click here for link to my Instagram account.